MEPs will debate the priorities of the Dutch Council Presidency with Prime Minister Mark Rutte and Commission President Jean-Claude Juncker this morning from 8.00 CET. The presidency's main objectives are focussing on essentials and growth while connecting with civil society. In December, ahead of the Dutch presidency, we asked Dutch MEPs across the political spectrum about their expectations. The Dutch presidency comes at a very difficult time. The European Union is both internally and externally threatened by crises and instability. 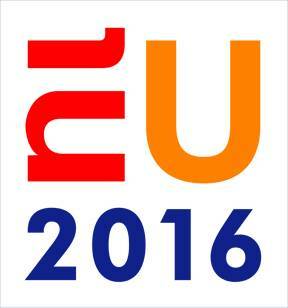 Therefore we expect the Dutch presidency to do everything it can to ensure Europe's unity and decisiveness. The most important thing will be to start working on a joint control of land and sea borders. If Europe fails to reduce the influx of economic refugees, there will be less local support for taking in war refugees, who really need our help. European citizens expect concrete results for the major questions of our time, which should be the focus of our next six months. Current problems have one thing in common, whether it concerns the refugee crisis or fighting tax evasion by companies, we can only resolve them by joining forces at a European level. Fear still reigns too much: we rely on our national interests and therefore we are all worse off. We currently see how the problem of migration divides Europe and people talk about closing borders. That would not constitute progress. This year I expect the Netherlands to draw member states’ attention to shared interests and common values. Words, but especially actions. The Netherlands will become an enforcement chairman. Existing and new rules must be enforced across the EU. Equal enforcement should be central to road transport, fisheries, the euro, Schengen, banks and much more. A Brexit would be a disaster for both the EU and the Netherlands The Netherlands should do everything it can to prevent the United Kingdom, a good ally, leaving the EU. When evaluating the EU trade agreement with Pakistan, the Netherlands should ensure the country takes the rights of (religious) minorities seriously. The abuse of blasphemy laws needs to stop! The Dutch presidency will focus on strengthening the internal market and international trade. TTIP is vital. Economic growth is the only solution to many problems in the EU. In addition the Dutch presidency will have to work on the refugee crisis, the challenges facing the Schengen zone, EU-Russia relations and the aftermath of the MH17-catastrophe, a possible Brexit and the fight against IS/Daesh inside and outside Syria. The effective control of European borders is essential for the EU’s internal and external security in order to combat illegal migration and manage refugee crisis. I expect the Netherlands to be firmly committed to a liveable planet. This includes attention to animals, nature and the environment. Animal transport lasting for days should be reduced drastically. Also, ending overfishing, maintaining nature conservation rules and banning hormone-disrupting substances are important themes in 2016. In these difficult times, we expect the Netherlands to hold on to the values of tolerance, compassion and sustainability. Privacy and freedoms must be protected and not be sacrificed with the pretext of combating terrorism. The presidency offers the Netherlands opportunities to present itself as a guiding country. By taking the lead, the Netherlands can contribute to improving the European approach to the refugee crisis, climate change, tax evasion and other major challenges, where so far progress has been very slow. But the Netherlands still lags behind when it comes to renewable energy, shows little compassion to refugees and is known as a tax haven. The EU presidency is a great opportunity to quickly change that. I expect nothing at all from the Dutch presidency. This government is a disaster for the Netherlands, but good at following orders from Brussels. Rutte will dance to Juncker’s tune and continue to destroy the Netherlands. A government representing the Netherlands’s interests would have already closed the border and locked up Dutch nationals returning from fighting in Syria. We need to get out of the EU, the euro and absolutely out of the Schengen zone. That will not happen during Rutte’s chairmanship. A disgrace! There are eight groups in the European Parliament. The Europe of Freedom and Direct Democracy group does not have any Dutch members, which is why this group is not included in this article. This article was originally published on 5 January.